As an active community volunteer and mother of two elementary school-age sons I see on a daily basis how much we in this community rely on one another – from carpool to coaching to committees — accomplishing more when we pitch in and help one another. We are truly better together! This is why it is so important that we all continue to work together in support of our schools, our community, and our kids and maintain the legacy of excellence in our local La Cañada public schools. This fall, the La Cañada Flintridge Educational Foundation will present a record-setting gift to La Cañada Unified School District of $2.23 million – made possible only by the unparalleled generosity of parents, community members and business owners alike. With a new school year upon us, we have the opportunity to reflect on what sets our schools apart and why Foundation funds are game-changing. Consider how the exceptional opportunities to explore varied interests profoundly enriches our children’s educational experiences. Picture the elementary school teacher who recognizes and encourages a budding marine biologist with a love of ocean life; the art teacher who offers a platform for expression to a creative, yet untapped mind; or the science teacher who brings STEAM to life by facilitating collaborative robot-building and coding sessions. Your generosity has made these diverse experiences possible – contributing to the educational advancement as well as the mental wellness and social growth of our students. This investment in outstanding schools helps not only our kids, but is an investment in our homes by consistently elevating and sustains property values and ensuring that our community continues to attract families who value the proven high academic standard of our schools. 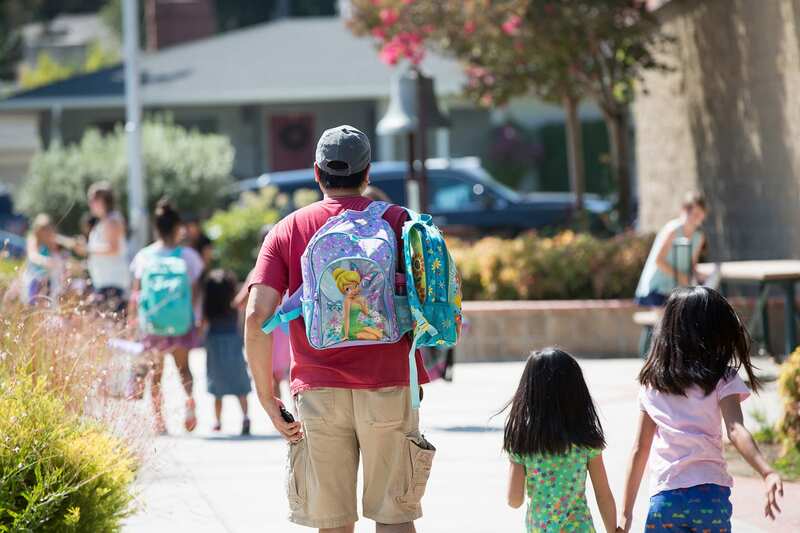 Under the current state funding formula, property taxes are redistributed to local districts, leaving La Cañada schools with a base grant that is far below what is required to provide the many things that make our La Cañada schools excellent. Any year-to-year increase in state funding is offset by rising expenses in technology, teacher training, instructional salaries, and mandated retirement contributions. The Foundation remains committed to retaining guidance counselors, enhancing classroom technology, keeping class sizes small, and continuing to build our arts, music, drama and STEAM offerings to benefit ALL of our children. I am so excited about the coming year! I hope that I can count on your support because we are Better Together! Learn more about how you can help by visiting our newly-redesigned Foundation website this fall, www.lcfef.org, or call the office at 818.952.4268. Together, let’s deliver the best year yet to our children and our community.